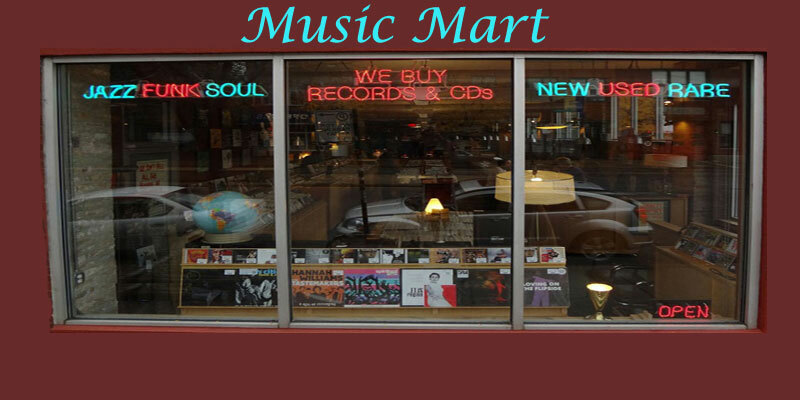 History | Music & Movie Mart Inc.
Michael D. Young opens Music Mart, a small mail order music store that specializes in new and hard to find to out of print, CDs, Tapes, and Records in Bellevue, Nebraska. 1986 Music Mart moves out to San Francisco, California from Bellevue, Nebraska. 1988 Music Mart installs a new toll-free number, which enables consumers from Canada and the United States to contact the company concerning questions and purchases. 1989 Music Mart hits the 15,000 titles mark, which contain both new and hard to find items to out of print items for consumers to purchase. 1989 The earthquake that affects most of San Francisco on 17 October 1989 destroys Music Mart. 1989-1991 Music Mart closes down temporarily due to the earthquake, but maintains telephone contact with consumers so items can continue to be purchased. The Company moves back to Bellevue, Nebraska from San Francisco, California to look for a new location to reconstruct its business. 1991 Music Mart reopens in October with the purchase of Movie Mart, a mail order and retail movie store that specialized in hard to find and out of print Laser Discs, and VHS Movie titles from 1970 to 1991. 1991 Music Mart’s corporate officers and Movie Mart’s corporate officers approve a new corporate name, called Music & Movie Mart, to reflect the new scope of the Company’s image and offerings to its customers. 1991 Music & Movie Mart enters the online retailing world by launching its new website www.musicandmoviemart.com that is dedicated to new and hard to find to out of print CDs, Tapes, Records, and Movies. 1993 Music & Movie Mart installs a new toll-free fax number, which enables consumers to fax in and purchase orders worldwide. 1995 The “DOT.COM” bubble wars begin to surface at this time affecting many major online retailers, as well as new online startup companies entering the spectrum. 1997 DVDs are introduced into the video market in March 1997. Music & Movie Mart starts carrying new and hard to find to out of print DVD Video titles at this time. 2000 Music & Movie Mart hits the 10,000 titles mark once again, which encompass both new and hard to find to out of print titles for consumers to purchase. Music & Movie Mart computerizes its inventory again in order to best serve its customers. 2001 Music & Movie Mart survives the “DOT.COM” bubble wars, which affected many other online retailers causing them to cease operations. 2007 Blu-ray DVD Video titles and HD DVD titles are introduced into the video market at this time. Music & Movie Mart decides to promote Blu-ray DVD Video titles over HD DVD titles and begins carrying new and hard to find to out of print titles for Blu-ray DVD Videos. 2010 Music & Movie Mart purchases Mediafye, a retail store that specialized in hard to find books. The Company approves a new online retailing website name, Mediafye.com, and a new corporate website, Musicandmoviemart.com. 2013 Music & Movie Mart Inc. dba Mediafye.com re-introduces the paper catalog format due to many customers’ requests since they do not have access to computers or other electronic media devices these catalogs are made upon demand for the customer. 2010-2016 Many redesigning and developmental changes took place on the Musicandmoviemart.com website to turn it into our corporate website. Many redesigning and developmental changes took place on the Mediafye.com website turning it into a more modernized and updated e-commerce website. As this will make it a lot easier to access on smart phones, tablets, and other electronic devices, it will also pave the way for lots of other new features and expanded media to come in the future.